Back in the 1985, Bloodsworth was arrested and convicted for the sexual assault and murder of a 9-year-old girl, Dawn Hamilton. Because of five witnesses and investigators, who did not do their job properly, Bloodsworth was sentenced to death row. The worst part is, if not for the invention of the DNA test that helped to prove Bloodsworth’s innocence, he would have been successfully executed for a murder he did not committed. But in the end, he still lost his 9 years of life in prison, where he should not have been in the first place. After you watch Gregory Bayne’s docufilm, you will find out the incredible story of Kirk Bloodsworth, who, many years after being released from prison, finds out that the real person who killed that poor little girl was in the same jail with him, just one cell below. This is why I am profoundly honored to be able to bring up for you a subject that will always be relevant, until the criminal justice system eliminates the gaps that sends innocent people to prison. The gap that takes away the freedom from those, who deserve to enjoy it to the fullest. I got, if I can say it this way, the rare chance to interview Kirk Bloodsworth, the first American who was exonerated by DNA. Here is my interview with him I am happily presenting to you. 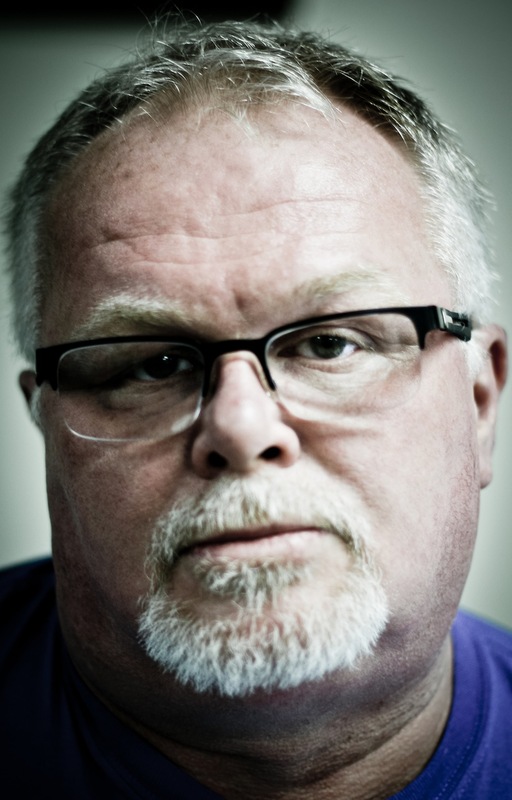 MOVIEMOVESME: Can you tell us who is Kirk Bloodsworth and how you wound up becoming the first American on death row exonerated by DNA? Kirk Bloodsworth: Kirk Bloodsworth is just a country boy from the East shore who grew up as a fisherman. The rest is still a mystery; I was just living my life and they said I looked like the sketch of the last person seen with a 9-year-old little girl. Nobody would believe me when I said it’s not me. The next thing I know, eight months after I was arrested, I was sitting on death row for something I didn’t do. MOVIEMOVESME: Where do you think the criminal justice system failed? Kirk Bloodsworth: I think the errors from the beginning when the police decided to not go any further. We heard that they’re sure it’s this guy and so they stayed with their assumption without checking or following up on any other lead. They were very quick in their investigation, and they thought that was the way to go. Nobody really did the thorough holing down of the crime scene, make sure everybody came in there and people were scared to death that a person could do something like that to a child. But they ought to make sure they got the right person. They had information about the real killer eight days before I was arrested but they never went back to look or check for this guy. That’s really some of the mistakes they made. MOVIEMOVESME: You were in a very difficult situation. What made you not lose faith and not only get justice for yourself but also Dawn Hamilton? Kirk Bloodsworth: I knew the truth that I didn’t commit the murder, so somebody did. I figured if I found out who did that I’d free myself and give Dawn justice. It just kinda happened in the reverse. I was freed and then ten years later we found the real killer due to my pushing to get it done. They had the DNA, all they needed to do was work the test, So they found the guy and surprisingly he was there for five years, one level below my cell. It was a horrible feeling to live day by day, eight years ten months and nineteen days. Everyday all I wanted to do was prove my innocence. MOVIEMOVESME: How did you feel when you found out this person was in the same jail all this time? Kirk Bloodsworth: I’m not really sure what I would’ve done if I had known about that. I was 22 years younger then, very angry about what happened to me but that’s how this stuff happens. My story is not unique other than I was the first person to be released from prison from death row because of DNA. We just made a big mistake of letting this guy slip through the cracks and that can’t happen in the justice system. We have to make sure that we’re punishing the right people and we certainly shouldn’t have a death penalty nowhere. MOVIEMOVESME: What according to you should be done to ensure nothing like this ever happens again? Kirk Bloodsworth: For death row cases there should not be death cases. The government should not be in the business of killing people. If you want to punish a person, send them to prison for the rest of their lives but you shouldn’t be taking their lives when you have a law against taking lives to start with. It is a moronic way of going about trying to police the country. We all are gonna die one day, it’s an inevitability, but we shouldn’t hasten it because we feel some sort of moral wrong. Most people who are poor, black or uneducated don’t have a chance. Certainly all the criminal justice reforms they talked about in the last three years need to be implemented. MOVIEMOVESME: You were one of the firsts to be freed because of DNA. What do you think made it happen? Kirk Bloodsworth: I worked on this case the entire time I was in. I never stopped trying to find out who killed her. When I found about the DNA, it was one of those Eureka moments, an epiphany. I just worked really hard and I kept complaining to people that it shouldn’t be happening to me. It took a long time but at the end of the day I was one of the lucky ones. MOVIEMOVESME: Can you describe the feeling of being free before going to prison and after? Kirk Bloodsworth: Before prison you don’t realise how precious your freedom is and to be able to do whatever you want and enjoy this great, rich world we live in. In prison I spent a decade with tears for being on death row. After getting out I decided to live my life to the fullest and try to really be free and help change things in other people’s lives which I have done. Prison is a bad place and certainly it’s bad for people that have done wrong let alone for people who have done nothing wrong. I believe we should never allow a person to go to prison for something they didn’t do; I think it is a big failure of our justice system. MOVIEMOVESME: What would you like to tell people who have been wrongfully convicted and are still in jail? Kirk Bloodsworth: It doesn’t do any good to sit there and do nothing. You need to keep standing up for yourself and never ever stop. Always keep telling people you’re innocent and keep pushing for somebody to prove it. In the meantime, learn all you can about life in general. You have to hold on to your sanity because you know the truth; stand up for it. Just hang in there and you can only do it a day at a time; don’t worry about tomorrow, just tell them you’re innocent today. MOVIEMOVESME: After you were exonerated, did Dawn Hamilton’s family contact you? Kirk Bloodsworth: I never talked to Dawn Hamilton’s family, however I did talk to Dawn’s father’s sister briefly and Dawn’s friends at the time. They always wished me well; after Tom Hamilton lost his wife, my mother died and he always said he was sorry for what happened to me. He lost his girl and I lost nine years of my life; the tragedy is that it was his only child. Nobody will ever forget Dawn Hamilton. MOVIEMOVESME: How does it feel like to live in a country where innocent people can be sent to death row but then gives a chance to clear your name through DNA test? Kirk Bloodsworth: It feels awesome. I know for a fact that there were some similar cases in Canada as well; Hurricane Carter was a friend of mine. You must prove the truth and to live here in this country and to see it work. We’re not infallible, our system makes many mistakes and we’ve made so many now that we’re coming to our senses. I cannot support death row and people are finding out they shouldn’t. America is one of the greatest places on Earth and we lack a line when it comes to punishing someone so severely that they could lose their life. It’s not the way to go for our country, we need to stop it immediately. prove the true and as a result see it work – he didnt give up. Respect to him.